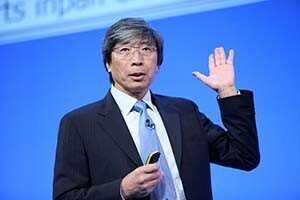 Dr. Patrick Soon-Shiong addresses delegates at the NHS Confederation Annual Conference. Photo by NHS Confederation, June 2014. On Aug. 6, Soon-Shiong realized a $1.1 billion gain on an investment he'd made right before Christmas. His company Cambridge Equities LP bought a 31% stake in biotech firm NantKwest Inc. (Nasdaq: NK) for $47 million on Dec. 23, 2014. The drugmaker focuses on cancer immunotherapy treatments. On July 28, NantKwest opened on the Nasdaq at $37 a share after floating 8.3 million shares at $25. That was well over the price talk of 7 million shares at $20-$23. It made the firm the largest biotech in the last decade, with an initial market cap of $2.6 billion, according to Renaissance Capital. By Aug. 6, NK closed at $28.96 a share. According to Bloomberg Billionaires Index data (which assumes all shares were bought for the same price), that means Cambridge booked a ten-figure gain on its investment. Soon-Shiong is capitalizing on a booming biotech sector. Even after a sell-off hit global markets hard on Aug. 24, the Nasdaq Biotechnology Index had gained 7.44% this year as of Aug. 25. That compares to a 9.28% downturn for the S&P 500 in the same period. And prior to "Black Monday," the biotech ETF was up more than 29% over the last 12 months, to the S&P's comparatively-paltry 0.81% climb. how to spot sell out of calls or spreads? it looks easy to understand candle sticks of past price/time charts? not easy to enter or exit. how far away from itm stock price one has to trade spreads in calls and puts and how close to each strike prices of each spread. expiry of the developing condor all debit or credit spreads?